Requires the Conan Core Box to Play. Delve deep into the sandy crypts of Stygia, to discover the real evil that lurks beneath this sun-scorched land. 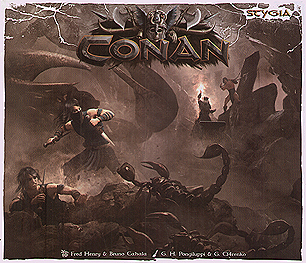 Confront Stealthy assassins and giant scorpions, look for Conan, and try to free him from the hands of Thot-Amon, the dark sorcerer.